When the Dark Web destroys all privacy, an elite hacker must enter the belly of the beast in this compelling international conspiracy thriller. Azi Bello is an amiable outsider with a superior talent for hacking. He's also living in a 21st century world where the dark side of technology is decimating privacy. "The Dark Web" rule: those who have the right connections have access to anything imaginable, and it's all theirs for the taking. When Azi is sets off to unravel the mysterious online marketplace known as Gomorrah, he meets a young, secretive Muslim woman named Munira, and his carefully constructed privacy suddenly shatters. Munira's world starts spiraling out of control as well when her hacker cousin is recruited to work for terrorists. Working together to find her cousin and return him to safety, the two uncover an unimaginable conspiracy. But in the Dark Web where identities can so easily be switched, how far is Azi willing to go to upend the nightmare he's living? 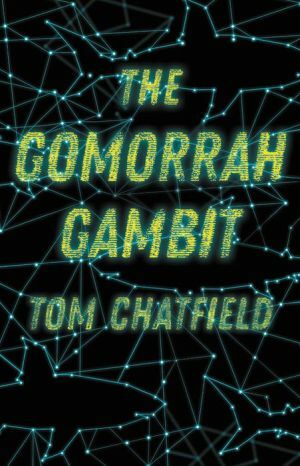 Debut novelist and technology expert Tom Chatfield deftly explores the lengths people will go to when the struggle for ultimate power becomes an international, high-stakes game.